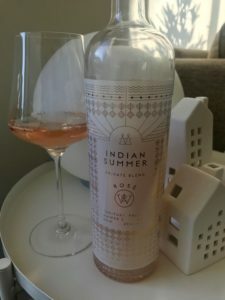 This is the flagship rosé from the Plowman family and their Waiana Estate winemaking team. A step beyond their Indian Summer and Summer Sault rosés, this classically dry, Provençale style is crafted from a blend of Tukituki Valley-grown merlot and cinsault which has been left, post-ferment on its yeast lees for a stretch, then matured in 3year old large oak puncheons to impart extra complexity, palate weight and “I’m bloody awesome-ness” into it. It’s a rare thing to find such attention to detail in rosé construction in this country in order for it to hit this price point, but it’s been perfectly executed here. It’s a rosé to be savoured over something delicate like salmon nigiri or classic caprese salad.